A famous phrase in Islamic scripture tells us that ‘There is no prophet who has not tended sheep.’ The three Islamic prophets, Mohammed, Moses, and Abraham had all bee shepherds at some point in their lives. It was a phrase that MBA student AlBaraa Taibah found quite curious. How could being alongside sheep in an arid desert have any relevance to modern business skills and leadership requirements? 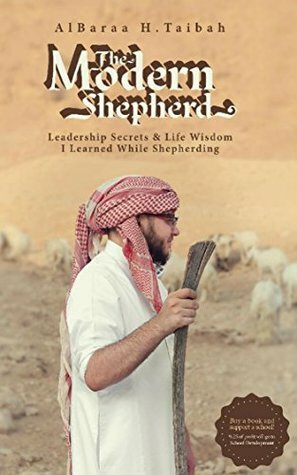 The only way to see what happened was to spend some time with another a shepherd in the Sahara desert and a flock of sheep to see if he could get an insight into the words of the prophets. It was a steep learning curve. He would get lost, suffer from dehydration and it took a while for the sheep intrinsically trusted their master and took a few days to begin to tolerate him. Like other writers before him, such as Wilfred Thesiger he discovers that being in the desert is a way of crystalizing your thoughts and sharpening the senses. He learnt humility and patience from trying to manage a flock of sheep as well as finding out his limits. He does switch from his desert experiences to talking about his old school that he was parachuted in to manage far more experienced staff. He is open about dealing with those pressures and at times it is quite philosophical.